I love public libraries. They each boast individual flair and coziness, but all share in common some of my favourite things: books and people who love books. 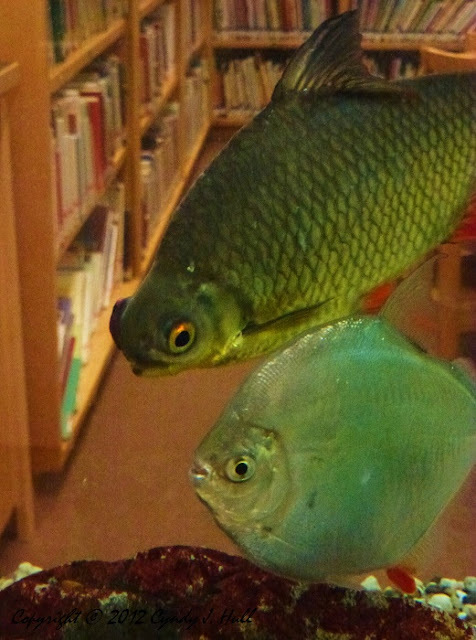 Upon entering the North Lake County Public Library in Polson, Montana, you’re greeted by dinner-size fish, who also love the library, making serene laps in a large tank bordering the children’s section. Part of my lake day was spent enjoying a reading nook which overlooks Sacajawea Park and Flathead Lake.